All was well in the opening months of CBS' revamped Tuesday, as NCIS was even in Plus and NCIS: New Orleans was able to live up to the strong early-season Limitless numbers. 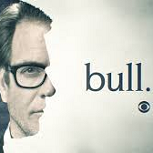 In the middle, there was real growth as the early weeks of Michael Weatherly's Bull proved an attractive option for fans of the mothership. But things got a little shakier for this usually proud night in the winter. NCIS did not get its usual winter spike, and Bull's retention also soured a bit. NCIS: New Orleans actually emerged as the relative bright spot, as it held up well enough in the winter months while Limitless came back as a much weaker show after the new year. The story was similar in the spring, but NCIS comparisons got even worse with comparisons vs. the final Michael Weatherly episodes. Bull's retention improved somewhat in the spring after This Is Us wrapped, but it was still down at least as much as the mothership. NCIS: By the lofty standards of this 14-year veteran, this is a huge Plus drop, all the way to its lowest level since 2008-09. Some of this could be blamed on the loss of Weatherly but it is still a bit troubling that the trends got worse as the season progressed. It could probably remain viable for awhile at -8% in Plus per season, but it'll become more questionable if the low- to mid-teens pace from the winter/spring shows up again next season. Grade: C.
Bull: It did fine, which I think pretty much everyone was expecting. Nothing more, nothing less. If NBC had actually gone through with moving This Is Us, it would've been an interesting show to watch in the fall against comedies on all three competing networks. Now, it'll probably just keep doing its thing. Grade: B.
NCIS: New Orleans: Yet another veteran moved to the 10/9c hour, but it got just two years at 9/8c compared with the five that LA got. Again, I consult True Plus, which (like Agents of SHIELD and Scorpion) puts this drop at around mid-to-high single digits rather than the 21% in raw. Grade: C+. Here's the now updated Schedules Plus for CBS Tuesday.